GN Solids Control offers customized and turnkey solutions on various kind of liquid solids separation project, like river water purification and cleaning system, the dredge slurry separation system. 1) Normally, the capacity of the river water cleaning system and the dredge slurry separation system is big. Like 1000 m3/h or more. As the river water requested to be cleaned is near the life areas. They have to finish the separation job as short as possible to reduce the affect to nearby people normal life. 3) The fine solids or ultrafine solids control is normally very high. They will increase the difficulty of the separation plant. 1) Linear motion solids control shale shaker GNZS594G, or even the double deck shale shaker GNZS706E. 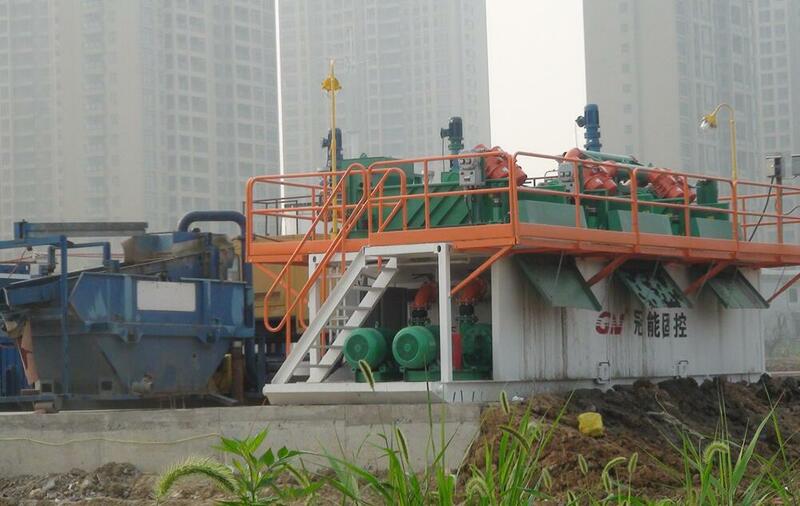 Some time, the shale shaker is equipped with 2 kinds of shaker screens. Some batches of shale shakers are equipped with coarse screens to remove the unexpected big stuff in the dirty water for preseparation. The second batch of shale shakers are equipped with fine shaker screen for the next step pre-separation, to remove the solids above 200 microns. 2) Mud cleaner combined with under flow shale shaker, desander and desilter. The mud cleaner is for the second and the third stage separation. The desander cone will remove solids over 50 microns. The desilter cones will remove solids over 27 microns. 3) Different sizes centrifugal pump to feeding for the desander and desilters. GN advanced design centrifugal pump is interchangeable with NOV Mission Magnum pump. It is the most popular pump design. It can be interchangeable with client’s old Mission pump. And they can use GN spare parts for client’s old Mission pump.